If you have FileMaker Server 12 or 13 installed at your locations and you're using SSL to communicate between the server and client versions of FileMaker (Pro, Pro Advanced and Go), you may want to address this vulnerability through the purchase of a third-party SSL certificate as FileMaker, Inc. is recommending. Their own default certificate has now been classified as “only for testing”. If you need assistance with the purchase and installation of a third-party SSL certificate, we're happy to guide you through this process. In all cases, the order of patching is important – the servers must be patched prior to patching the clients. More details can be found in the article above. To identify if you are using SSL to communicate with your FileMaker Server – in FileMaker Pro 13, you will see a small padlock in the bottom left corner of your FileMaker window. In FileMaker Pro 12, you will need to ask your server administrator if you are using SSL. If you have any questions or concerns regarding the security update, contact us at 1.866.PickITS. FileMaker, Inc. has recently identified a potential secure-sockets layer (SSL) issue in their FileMaker 12 and 13 product lines. 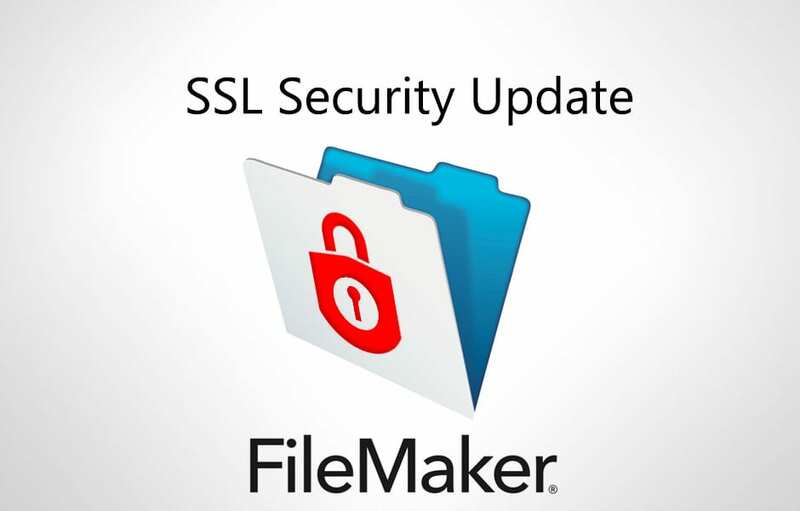 If you are currently using secure connections (SSL) between FileMaker Server 12/13 and FileMaker Pro or Go 12/13 clients this issue could affect you. The FileMaker 11 product line does not require this update.